Outdoor Lighting Perspectives of Memphis designs and installs custom outdoor landscape lighting, deck/patio lighting, path lighting, pool lighting, water feature lighting, holiday lighting, commercial outdoor lighting and service to existing systems. Keithley Irrigation Inc has provided their expertise to customers in the surrounding areas for over 25 years. From installation to service, our business staff representatives are eager to assist and satisfy any customer needs or concerns. Our motto is "100% complete customer satisfaction". Whether you are needing a new irrigation system, replace your outdated system, or add on to your existing system give us a call. We are licensed in the tri-state area including Tennessee, Mississippi, and Arkansas. Give us a call at (901)452-3545 or visit us online at <a rel="nofollow" target="_blank" href="http://www.keithleyirrigationinc.com/">http://www.keithleyirrigationinc.com/</a> for more information. Our ceiling fans do more than just cool, they add a designer touch to any space. Farmhouse laundry rooms, modern bathrooms, nautical dining rooms – Hunter has a fan for every room for every room in (and out) of your home! Browse our wide variety of features, designs, and finishes. The Mid-South's Largest and Most Beautiful Lighting Showroom. Provides residential lighting, ceiling fans, door hardware and home accessories for new or existing homes. Magnolia also does small commercial lighting projects. Lighting consultants are on staff to help with layout and design. 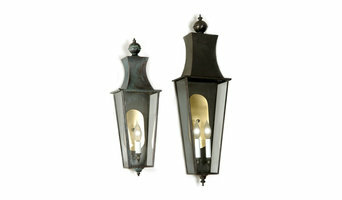 Graham's Lighting Fixtures, INC provides personal customer care in lighting, fine hardware, and outdoor living needs. From commercial builders and architects, to homeowners and designers we seek to meet the needs of our clientele through our knowledgeable and experienced staff. 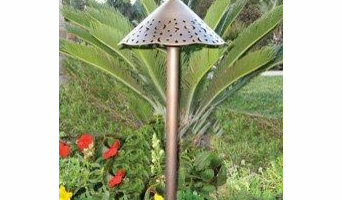 Founded in 1992, Outdoor Lighting Concepts' business model is based on bringing your home to life with light after dark. Many people have joined the industry, learning to install and sell lighting from representitives of Light manufacturers. Bill Taylor, owner of Outdoor Lighting Concepts, learned the industry from a different perspective and it shows. Bill has traveled all over the southern states and to design and install lighting, treating each home as a canvas and lighting as his paint brush. Designing lighting from the beginning of a project or lighting an existing home, discover why hundreds have been pleased to have Outdoor Lighting Concepts accent their home and enjoy the relationship with the experts. Whether it is Moonlighting, accent lighting around a pool, or bringing out the architectural features of your home, Bill is willing to bring his expertise to your home. For more than 30 years, we've tapped into our design team's deep knowledge of creative styles, colors and materials to bring together a tremendous selection of beautiful items to decorate your home. Welcome to the Lamp Shade House! We've been helping beautify homes for nearly 40 years. Let us put our years of experience and expertise to work for you, and together we can help you add that special, personal touch to your home. We look forward to the opportunity to serve you, our customer. At Como Lighting & Home Gallery, we offer indoor lighting, outdoor lighting, ceiling fans, home accessories, and more. Palm Coast Imports was founded in September 2009 to pursue private label ceiling fan and lighting business at major U.S. home centers. With a focus on innovation and design as well as quality manufacturing, we have grown to become one of the largest private label ceiling fan and lighting suppliers in the industry. Over the last five years Palm Coast has developed many new innovations in the ceiling fan and lighting categories. These new innovations and features are now available in the marketplace at many national retailers. Artisan-crafted lamps and home furnishings, designed by us for us. Think about how you plan to use each area of your Memphis, TN home. It's important to communicate to your Tennessee lighting designer which space will be used as an office and which will be a media room, for example, as these will require very different lighting methods. In addition, consider how you'd prefer to control the lights. Lighting technology today includes dimmers, sensors, photocells (that let lights react to the amount of daylight in a space), programmable scene controls (that let you program different settings for varied lighting) and whole-house lighting controls (that let you control all or a portion of your home's lights from one source), allowing you to tailor your lighting controls however you wish. Find a lighting designer on Houzz. Narrow your search in the Professionals section of the website to Memphis, TN lighting designer. You can also look through Memphis, TN photos by style to find a lighting design you like, then contact the designer.